Here are two screen shots of the process flow capability for the FDA Food Safety Plan Builder and the ConnectFood Food Safety Plan Builder as one of many feature comparisons. 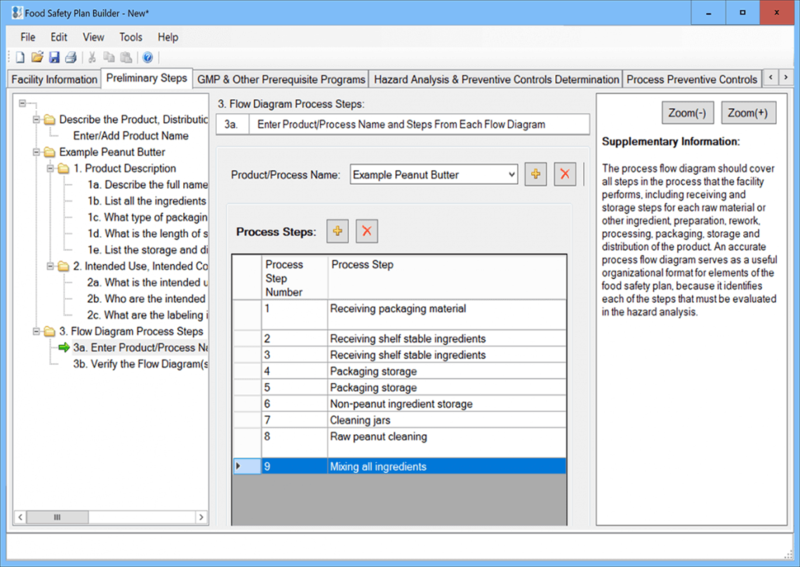 The FDA Food Safety Plan Builder’s process flow feature is a linear data entry method similar to a ‘spreadsheet’. 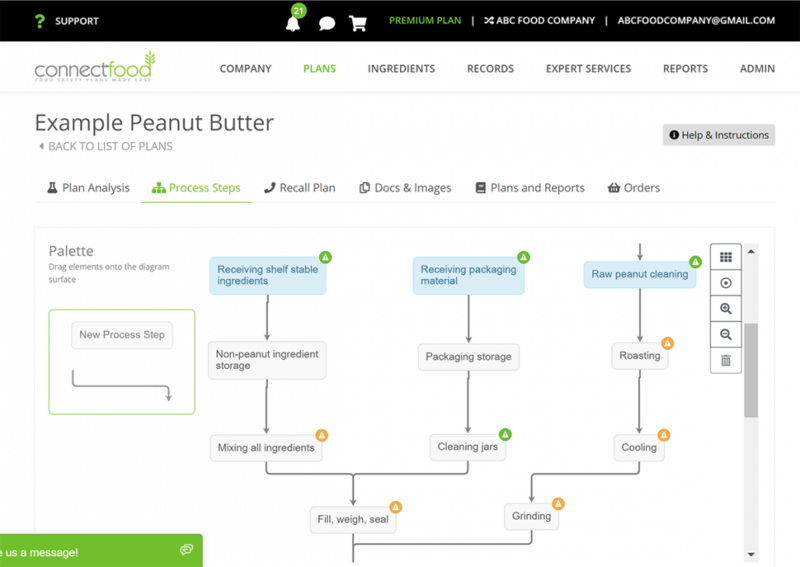 ConnectFood’s process flow features is a visual drag-drop process flow designer which can also handle parallel and looped flows in addition to linear flows. Get Started With Your Food Safety Plan Today! Give ConenctFood a trywith one of the free trials available. Save time with the many features that assist with making the process of writing and maintaining a food safety plan as easy as possible!